This entry was posted in Ayn Rand, empathy, guilt, misfortune, narcissism in society, positive thinking, prosperity gospel, psychopathy in society, shame, societal gaslighting, victim blaming and tagged Ayn Rand, Christianity, empathy, gaslighting, guilt, illness, Jesus Christ, Joel Osteen, lack of empathy, narcissism in society, narcissistic delusions, positive thinking, poverty, prosperity gospel, psychopathy in society, religion, shame, societal gaslighting, victim-blaming by luckyotter. Bookmark the permalink. Social Darwinism has been the state of many pagan religions for centuries, now we see Christians embrace this here in the states with a vengence. Sometimes it almost feels like a replacement for the ancient act of human sacrifice. I always wondered what purpose it served a dysfunctional family to target one member, stalk them , harass them and seemingly want to drive that person to suicide. In a normal situation , if you dispise someone, you simply want them to go away. Not so with many triangulated families. In th old days this ritual of gas lighting, mental torture, and slander would be dispensed with and the target would simply be murdered. I don’t even want to think about where we might be headed if this horrible mindset doesn’t stop. I’m sorry your in a bad mood (hugs). I’m checking my doors every five minutes tonight. Thinking about leaving Texas. Enough is enough. (Hugs back) Colorado,,,,yeah that’s the ticket. 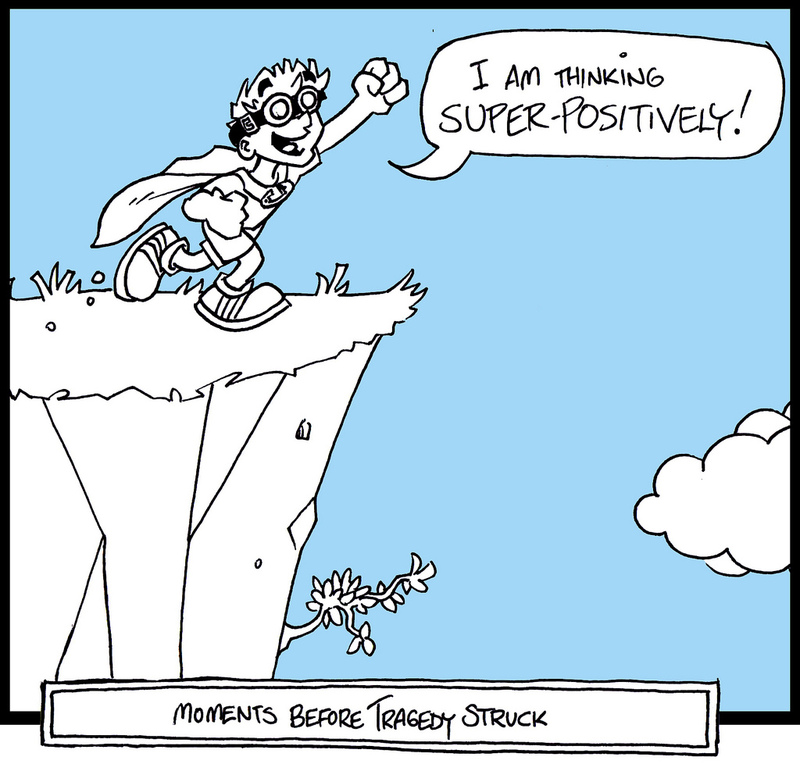 This can happen when positive thinking goes out of hand. It’s all about balance. Extremes of any kind are pathological. Good advice. Not TOO vigilant and cautious though, just enough. Thank you so much for this post. You have spoken my heart, & my experience since I’ve become disabled. It appears my disability makes me less than human, with no dignity or rights. Though I’ve tried to better myself, there is no real help. For everything I try, more is designed taken away from me. The system is to keep you in poverty. 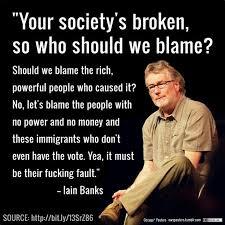 I guess that way they will always have someone to blame, instead of looking at their own faults. Naomi, I’m sorry you have become disabled. It’s true, our society and many people treat the disabled with no respect or dignity, and it’s so unfair and wrong. But there are many people who can see the lack of compassion in society today and are outraged about it. I think things will change eventually, but it may take a long time. You are going to have to be very brave, but I’m sure you already know that. In the UK, our present Conservative government has been busy introducing this ‘mindful’ positivity into its social security system, up to and including the severely ill and disabled. We are having the ideology of this government’s newly privatised ‘nudge unit’, slid into every aspect of the lives of the working-poor and above. It has recently appointed the firm, Start Smiling Again, which is to be trailed in some Job Centres and aimed at any of us with mental health problems that hinder our being employed. It’s run by one David Rahman, who calls himself a Coach & Blueprint Therapist and whose credentials as a mental health professional are hardly credible. We will, in effect, be told to think our way out of illness and unemployment. Now I’m already of a paranoid disposition, imagine then when I get called in for a ‘chat’ with this lot. That the whole system is based on this ‘positive’ thinking regime which is used as a cover for what is essentially an economic problem no one wants to address – that’s what’s really scary. It’s difficult not to begin formulating conspiracy theories. It is scary because to those of us who aren’t drinking the Kool-Aid, we see it for what it is–a way to cover up a societal lack of empathy and refusal/inability to accept any responsibility toward anyone but yourself. I’m not saying positive thinking isn’t a good thing–of course it is–but using it to shame people or refuse to help the way you have described is just callous and evil in my book. It’s terrible this attitude has been infecting other countries like yours recently. Thanks so much, that means a lot to me. 🙂 I’m sorry about your situation too. Hopefully things change soon.